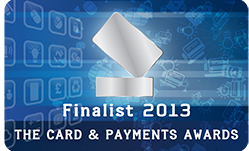 The new Visa Prepaid CitizenCard has been shortlisted for ‘Best new prepaid card of the year’ at The Card & Payment Awards in London in February 2013. CitizenCard launched the new Visa Prepaid CitizenCard in July 2012, it is a combined PASS proof of age card with Visa payment functionality and the card can be used at 29 million Visa outlets worldwide and online. It’s NOT a credit card and there are no monthly or annual fees - you must load money onto the card which can be spent. The Card & Payment Awards was founded in 2006 to recognise customer service, excellence and innovation in the UK & Irish card and payment industries. 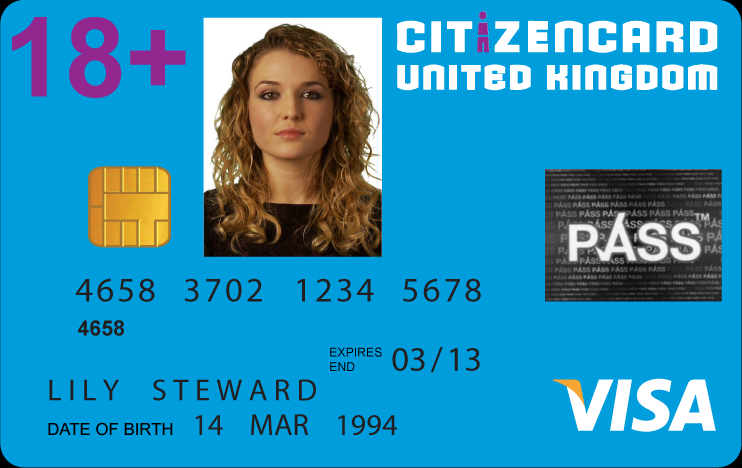 The Visa Prepaid CitizenCard is the UKs first proof of age/ID card with combined payment functionality. It is a PASS card that is supported by the Home Office, Trading Standards and the Police. It has the VISA logo as well as the PASS and Visa hologram. It has the cardholder’s name, DOB and a colour photograph. Adult merchant codes have been barred from under-18 cards, and the 16-digit card number differentiates adults from children so that websites can determine if the cardholder is an adult from the card number alone. The Visa Prepaid CitizenCard gives hundreds of discounts through Lealta including Alton Towers, Topshop and Specsavers.